These are the official 4-color process Chevy Truck Bowties, available in four sizes. Chevrolet Gold Truck Bowtie Decals. 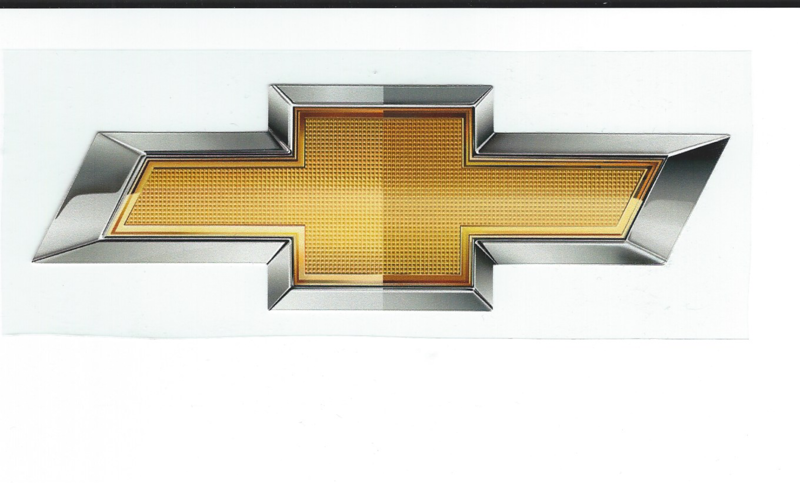 We offer the gold Chevrolet decal in to format versions. Option A which is shown below is available in 3 different size formats NOTE: AT7 has been discontinued. Option B features an emblem appearance format and is available in 5 different sizes. Included with all the decals is a 3M vinyl information application sheet and with the larger decals an application squeegee is included as well. These are the official 4-color process Chevy Truck Bowties, available in one sizes. Includes 3M vinyl information application sheet. NOTE: Option B Features gold bowtie shown below with emblem like appearance. These are die cut decals. The measurements are based on diagonal measurement of the decal tip to tip and height is measured in the center of bowtie top to bottom.